I hate it when my house boat gets too heavy to carry. Happy New Year! ‘Tis the season for resolutions, but I never make any because they feel like rules I’m bound to break. So rather than suggesting a list of financial to-dos, I’d like to propose a resolution to work on your “why” for improving your finances. What reasons do you want to be better with money? What opportunities might you take if you were more flexible financially? Let’s get resolute in our reasons this year. Starting this blog has certainly led me to clarify my reasons for seeking financial flexibility, though it’s an ongoing process. But you don’t need to be a personal finance blogger to benefit from wrestling through your motivation, goals, and perspective on money. In the end, your mindset about money will have the most impact on your financial journey because it can provide the stamina to keep truckin’ when financial discipline gets tough. We’ll have more posts coming on this mindset soon, including the secret to financial freedom in its only true sense. Get grateful. Putting your lifestyle in perspective is so important in pretending to be poor. The fact that most of us are just pretending is a significant source of thankfulness. Check out http://www.globalrichlist.com/ to get a grip on your real financial status. Get informed. Read a book that deals with the reasons for financial change. 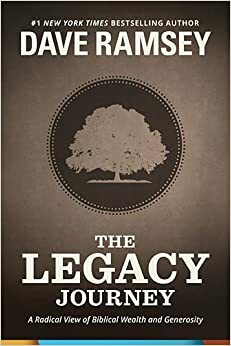 For a spiritual element, check out Rich Christians in an Age of Hunger, Revolution in World Missions, The Legacy Journey, or my current read, Money, Possessions, and Eternity. The Bible is also replete with thought-provoking money principles. Read Proverbs or the teachings of Jesus for starters. For a different speed try Total Money Makeover, Rich Dad, Poor Dad, or The Millionaire Next Door. 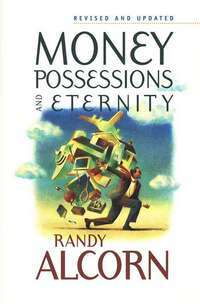 Dave Ramsey’s first biblical money book is up next on my list. Get goals. Clarify what you’re working for: the next big toy or investment, or the simpler-living and others-giving of financial flexibility? Considering your goals may take time and reading a “reason” book could challenge your thinking. But it’s so helpful to know where you’re trying to go, financially and otherwise. I’m referring more to the big picture goals, like paying off debt, investing in college funds, or increasing charitable giving, than the nitty-gritty details of how to get there (both are needed, but we’re working on the motivation). Your resolution to avoid fast-food will get much further if you know that money is going toward paying off Sally Mae or helping someone in need. If you’re married, do yourself a favor by talking through goals with your spouse and getting on the same page. Caution: this could lead to conflict. That’s okay; work it out! Invite dinner guests. International students or co-workers, young parents, or those out of work or far from family make a good invite list. Hosting is also cheaper than going out to dinner, and more work, but so much more rewarding. Give to the needy. Maybe this is the year to begin sponsoring a child through organizations such as Compassion International, World Vision, or (our favorite) India Gospel League. For about $30 a month you can help provide an impoverished child with an education, food, clothing, and more. Or keep it local by donating or volunteering at a food bank, homeless shelter, or after school program. Share your Christmas gifts. Invite friends to play with your new “toys.” Use a gift card on someone else. Lend out that handy new tool. Put some cash in the college funds. Reasons are important, but practical goals are also good, and I should probably make some. What financial resolutions have you made this year? I absolutely love this post. Ana and I have set our sights on starting a movement this year. Our goal is to teach generosity through helping the homeless. We’re actually in the process of applying for 501-c3 status and all. I can’t tell you how much you start to appreciate what you have when you go to the bridges down town and hand out food to the members of our community sleeping under them. Again, great post and I hope to see you around at Under The Bridge! What a great movement you’re working on. Thanks for sharing!